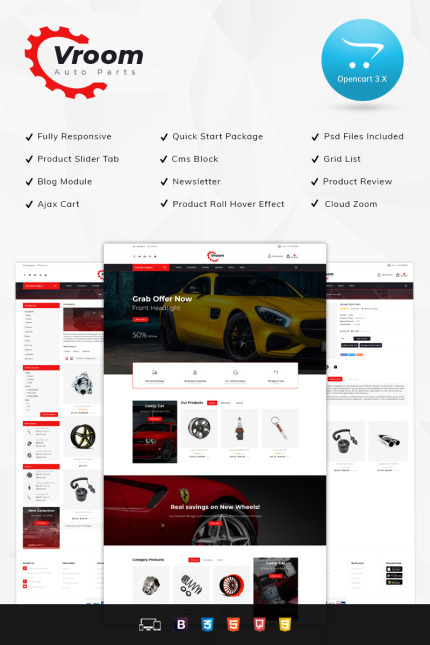 Vroom Auto Parts Store opencart template for automobile technology to provide there service online buy selling auto parts , tyre , wheel ,rim ,engine parts , car accessories , car decor, car services and many more. Theme is include quick start package for make your store same as our demo store. it is optimized for fast loading with seo.It is look unique with color combination and layout.